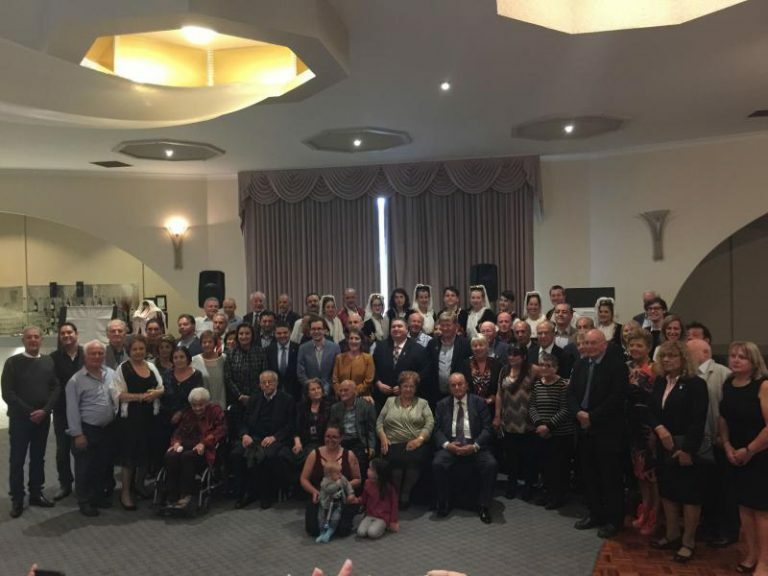 Over 300 people attendedFitzroy’s Moonlight Receptions recently to join in the Lefkadian Cultural Association’s commemoration of the many Australian soldiers of Lefkadian heritage. A feature of the event was a celebration of the life and service of Gunner James Zampelis, the only Australian digger of Hellenic heritage to have served and been killed in any of the Greek and Crete campaigns of 1941. The assembly was privileged to have in attendance many members of the extended Zampelis family, including James’ only child Peter. The official party included parliamentary representatives including Federal Member for Calwell Maria Vamvakinou MP, State Member for Bentleigh Nick Staikos MP, Victorian Minister for Veterans John Eren MP and State Member for South Barwon Andrew Katos MP. Also present were former MP and president of the Lemnos Gallipoli Commemorative Committee Lee Tarlamis, Executive Secretary of Melbourne’s Battle of Crete and Greece Commemorative Council Antonis Tsourdalakis, and President of the RSL Hellenic Sub Branch Steve Kyritsis. The event opened with an impressive performance by Oakleigh Grammar School’s Group of Drummers, followed by a minute’s silence and a reading by Peter Katsaitis of the Ode of Remembrance in respect to all Lefkadians who served in the Australian forces in WWI and WWII. The stage was complete with an Honour Roll prepared by public relations officer and event organiser Claire Gazis which listed the Anzacs of Lefkadian descent. Ms Vamvakinou, who is originally from the village of Agios Petros, addressed the audience on behalf of federal Opposition Leader Bill Shorten and communicated his message of support. The MP went on to say how proud she was as a Lefkadian to be asked to take part in an initiative of such importance, bringing together Australia’s Anzacs of Hellenic heritage. On Tuesday she also made a speech in federal parliament in which she acknowledged the hard work of Olga Vlahos, Gazis, and myself. Mr Staikos then took the opportunity to express his pride at supporting the recent unveiling of the Hellenic Anzac Memorial in the gardens of Parliament House and that he looked forward to his coming parliamentary visit to Greece where he would see James Zampelis’ name inscribed on the memorial walls at Phaleron Commonweatlth War Cemetery. Former president of the Lefkadian Cultural Association Chris Melas and Ms Gazis made a joint presentation on the Lefkadians who served in the Australian armed forces in both World Wars. They spoke of Lefkadian-born Harry Polites who served in WWI, and the 43 Australian service personnel of Lefkadian origin who served in WWII, including Zampelis. These Lefkadians were part of the 80 personnel of Hellenic background who served in the First World War and the estimated 2,500 in WWII. Mention was also made of two Greek Orthodox priests, Christoforo Manesi from Kallimasia and Yianni Evaggelinidi from Lesvos, who served in the Australian armed forces in WWII. It was a personal honour to be asked to address this event, outlining the life and service of Zampelis. James’ father Gerasimos hailed from the Lefkadian village of Maranthori, which I visited the past year. James had grown up in suburban Melbourne, joining the Australian army after the declaration of war in 1939. He went on to serve in the Middle East before arriving in Greece with the Allied forces sent to help defend the birthplace of his father from the coming Axis aggression. 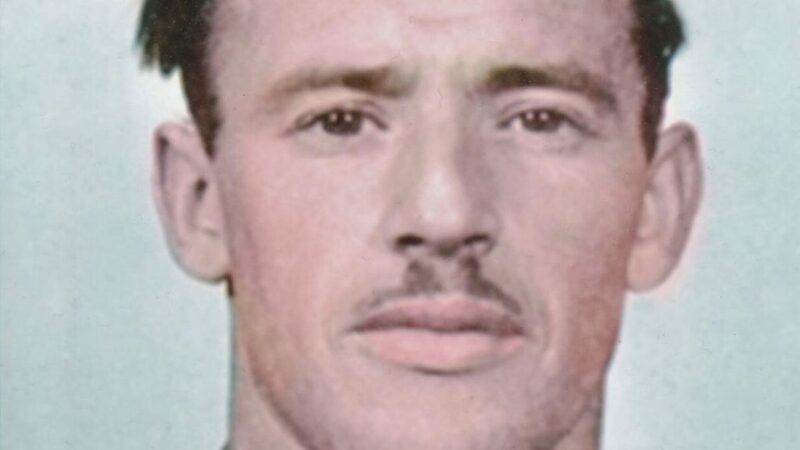 He served across the length and breadth of Greece, eventually evacuated to Crete where he was killed in a German air attack on 24 May 1941 along with four of his fellow soldiers, all from Melbourne. Their bodies have never been found and their names are listed on the Memorial Walls for the missing at Phaleron Commonwealth War Cemetery in Athens. I was able to announce to the assembly that my recent research in Australia and Greece, assisted by Paul Sougleris and Arch Bergiannis, has led me to believe that we may have found the site where James and his comrades were killed and buried. We hope to be able to raise sufficient funding to erect a memorial to James and his comrades at, or near, this site in the village of Mournies and also proposed that memorials be erected in Lefkada and Melbourne. Zampelis’ niece Merillyn Hayes was also present and shared a personal note on James’ life, reading from a letter he wrote home from the Middle East. The event concluded with an amazing performance by the Pegasus Dance Group who, dressed in traditional Lefkadian costume danced to the music of Lefkada, followed by a range of delicious desserts made by members of the Lefkadian community. * Jim Claven is a trained historian and freelance writer who has researched the Hellenic link to Anzac over a number of years, including researching the service of Gunner James Zampelis.